I have some bad news: you’re probably missing out on a lot of sales. Why? Because your product page is not effective enough. Boring product pages are pretty rampant with online storefronts that don’t have a billion-dollar corporate brand behind them. Small to medium businesses, especially local brick and mortars with online shopping carts, are losing potential customers… not because of their products (which may be awesome) but because of the way they present them. 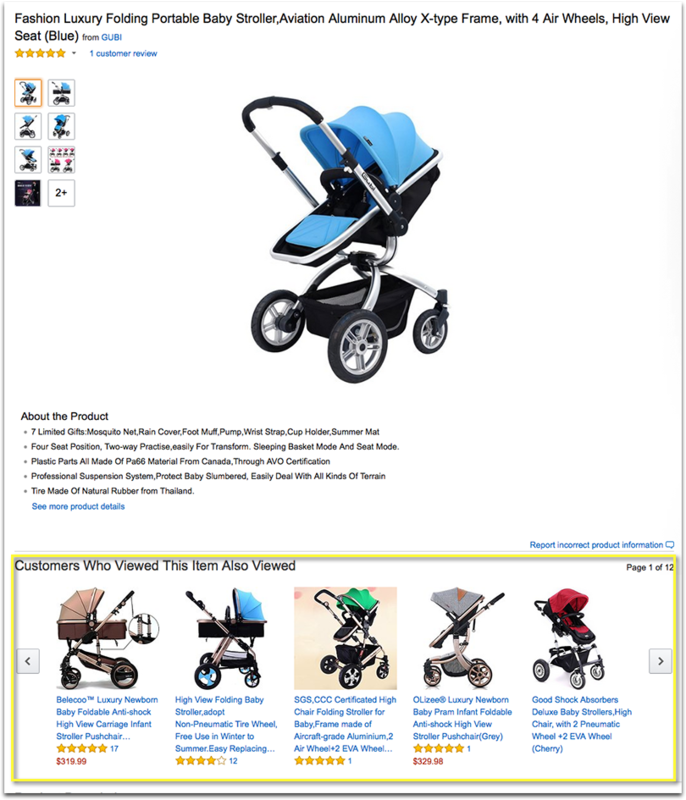 These seven tips will help you turn your dud of a product page into one that sizzles. According to KISSMetrics, if your page takes more than three seconds to load, 40% of users will leave the website. Dead serious… three seconds! Analyze what slows your page down: Here’s a good tool for that. Here are a few generic tips on improving your site speed to improve conversions. If your ecommerce site runs on WordPress, stick with a good theme. Here are a few recommended ones. Besides telling you how important performance is, the importance of a fast-loading page tells you something else: customers react immediately to your site. You should conduct a series of “First Impressions” tests. This is when you employ a handful of people to look at your site for a set number of seconds (no more than 10), and then ask for their first impressions. This should include both a set of questions (What was your first impression of the design? ; Would you buy the product on the page? ; Would you go to other products on the site advertised on the page? ; etc. ), and space for them to write down what they thought. Compare these impressions and you will start to get a very useful picture of what does and doesn’t work on your product pages. UsabilityHub is a good way to run a five-second test to see what your visitors’ first impression is when they land on your page. Say three words that you remember from the site, or that you would use to describe the site. What services and/or products are offered on this site, and for whom? You don’t put a CTA on a product page in the same way that you would another website section. But that doesn’t mean you don’t have them. A large, bright and impossible to miss shopping cart button that instructs people to put things into their cart is mandatory. It encourages them to do so, even when just browsing. Abdullahi Muhammed, founder of Oxygenmat, has put together an awesome list on writing your product page copy which can get you inspired to create a catchy CTA (as well as improve your overall product descriptions). Bannersnack is a great way to design your CTA button and matching banners. They have just launched their banner creator which is very easy to use! Their online editor has got really advanced giving you free templates, stock images, varied templates and design ideas and even social media graphics. This is a must for galleries now. You should have multiple images available for users to get an idea of what your products look like. But you should also give them the option of zooming in and taking a closer look to the details. A good rule of thumb is to use multiple photos in different settings. Two should be a basic product stock image for each side, one should be the product being used by a model in the real world, and a useful one could be the dimensions placed against a drawn figure for scale. These images should be expanded for detail by giving a movable cursor box when you hover over each one. You don’t want a ton of distractions getting in the way of your product. This is a mistake many big companies make when they design their pages. There is just too much there to take the focus away from what they are trying to sell. Minimize the content on the page. Create tabs to hide product features, specs and reviews until the customer decides to read them. Keep your descriptions short and simple, with only the relevant information. When you go to Amazon you will notice that recommended products are on the page, but under the details of the product. You don’t have to skim too far, but it isn’t seen immediately. That offers enough distance not to distract, while still encouraging connected products they may want to buy at the same time. 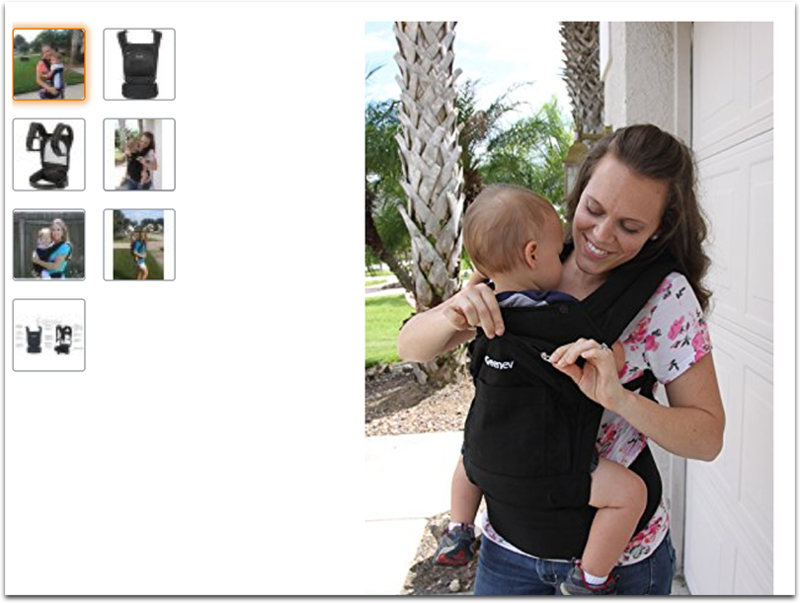 In a slideshow near the bottom of the product description is another list of products they might want to check out. All of this is useful, and presented in a way that doesn’t distract from the main product. Customer ratings are important for most people when deciding whether or not to buy. You should keep your rankings front and center, but away from the primary product description. So near the title of the product you can have the star rank, with the number of reviews that have been written. It provides immediate context. Yotpo is a great tool to collect and publicize those reviews. They make it easier for your customers leave their reviews, integrate that content into your site and make it each and fun share those reviews on social media for more exposure. Just be sure the actual reviews are set away from the description, in their own tab. Sure, you could go with the Amazon design and have them listen on the bottom of the page. But that tends to look clunky and weaken the design as a whole. Having a section hidden until clicked is going to look better in most situations. Make that product page shine! Making a hot, well designed product page isn’t difficult. It just needs some tweaking to follow by the tried and true layout. Have some tips? Share them in the comments!